Throughout the course of the season, Colts.com will run a “Newcomer of the Week” following each regular season game. With the Colts having an influx of the newcomers this season here’s a look at the” Newcomer of the Week” from Miami. 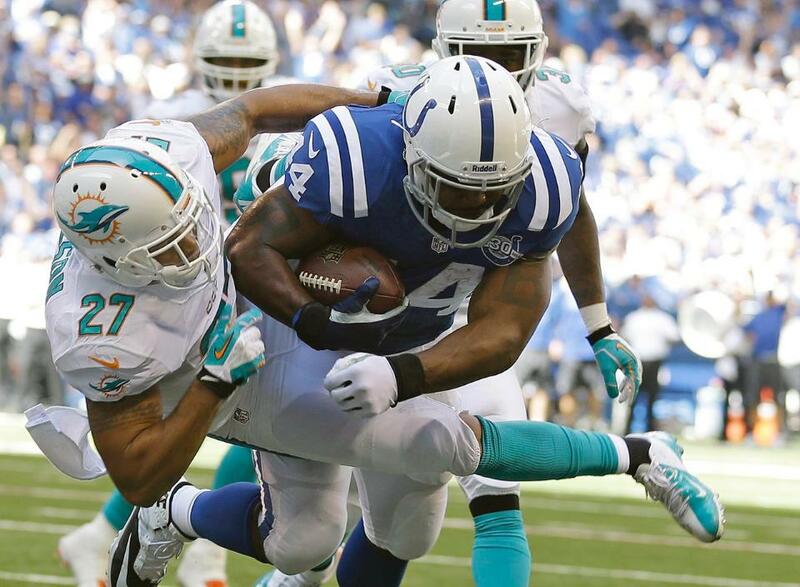 In his first start with the Indianapolis Colts, Ahmad Bradshaw took the bulk of the carries on Sunday afternoon. Bradshaw had 15 carries for 65 yards (4.3 yards per carry) and a touchdown. “It felt great and I’m ready for more,” Bradshaw said of his 49 offensive snaps (68 percent of the Colts offensive snaps). Bradshaw added three catches for 19 yards as the lead back for the Colts. With Vick Ballard out for the season, Bradshaw is the starter moving forward and the seven-year NFL veteran was very effective in Sunday’s loss. The Colts are currently fifth in the NFL at 5.0 rush yards per attempt. -Safety LaRon Landry once again led the Colts defense in tackles. He had 11 tackles on Sunday and leads the team with 26 stops after two weeks. -Outside linebacker Bjoern Werner had three tackles on Sunday including a half sack and added a quarterback hurry of Dolphins quarterback Ryan Tannehill. -Offensive guard Hugh Thornton filled in at left guard for the injured Donald Thomas and played 60 offensive snaps (83 percent) on Sunday afternoon. Summary _ of the team so far 1-1 and a lot to build on offense maybe 20% IMPROVEMENT but the Defense 5% at best. Bradshaw was 90% better than last week. The defense has plenty to build and get stronger and has been coming a ways but too slow if we want to compete AFC South champs an a trip down the playoff yellow brick road.